These biscuits made my day (maybe my week). Karen and I tasted them during one of her trips to Texas and they were over-the-top good. There’s no doubt why; they contain buttermilk, cream cheese, and butter! We chose the cheese & chive flavor, but other tempting varieties include cinnamon, country ham, buttermilk, shortcake and cocktail ham. The biscuits are frozen, and are easily reheated in a half-hour or less. They were tender, flaky, rich with cheese, and full of chives. Alone, or paired with smoked ham, they were completely awesome. The hand-made biscuits would be wonderful for brunch or hors d’oeuvres. We loved the simple brown-bag packaging, too! Callie White built a successful catering business in Charleston, South Carolina and her buttery biscuits became a local legend. 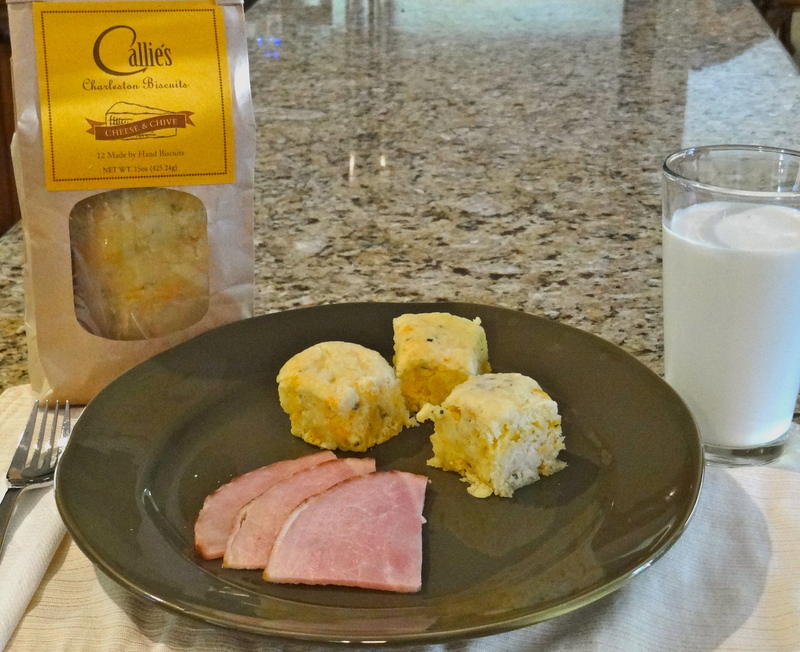 As she was considering retirement, daughter Carrie Morey convinced her mom to start Callie’s Charleston Biscuits. Carrie took an active role in marketing the biscuits, and the company now has an impressive list of retailers across the country. Callie’s also offers direct online sales. Both women are proud they have built a business that can be handed down to the next generation. It shouldn’t be too difficult to find an occasion to serve these elegant and tasty biscuits!